Celebrate Season 3 by dressing like your JtV faves. As you’ve probably seen by now, this isn’t CF’s first (or second) article on Jane the Virgin. We’ve covered Jane Villanueva and Petra Solano’s looks before, but have yet to analyze the show’s fashion as one whole unit. Since it just seems that you guys can’t get enough of the show, and since its third season is almost upon us (!!! 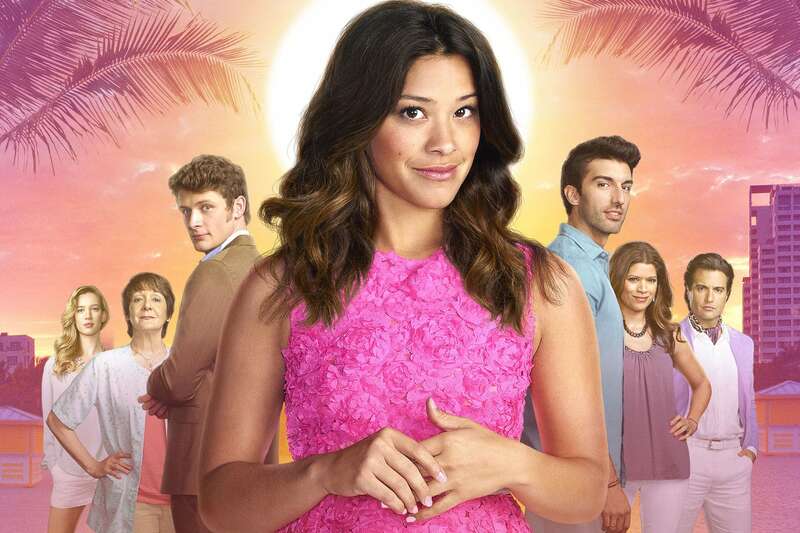 ), here goes one more take on the fabulous telenovela parody that is Jane the Virgin. Keep reading for three easy-to-copy looks inspired by Jane Villanueva, Petra Solano, and Xiomara Villanueva! Jane Villanueva is the protagonist of the show, and a true romantic (read: binge-watches telenovelas). Jane’s upbeat and charmingly optimistic personality keeps us all rooting for her at every dramatic turn, but it’s definitely her colorful attire that really pull us fashionistas in. I love all of Jane’s looks, whether they’re hoodie casual or black-tie formal, but I’ll freely admit that her floral sundresses have a special place in my heart. To rock out to your own version of this, layer a white cardigan and gold necklace over a printed fit-and-flare dress. Then, sling on a plaid handbag and wedge sandals to finish up this fresh and sweet look! Petra Solano is Jane’s rival in the show (or so she thinks) and her personality falls somewhere between viciously ambitious and outright crazy. For all of Petra’s inner cattiness and general instability, however, she has really good taste in clothes and always wears aesthetically pleasing pieces. I have extreme wardrobe envy over Petra’s Miami-meets-businesswoman outfits. To emulate her casually elegant look, slide on a white blazer over a poppin’ blue blouse and stark white shorts. 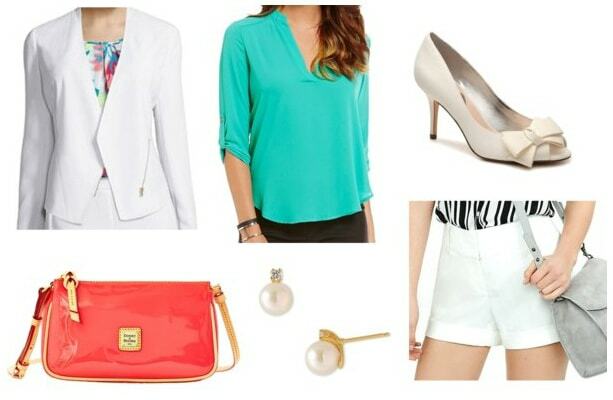 Follow it up with white footwear, pearls, and a Dooney & Bourke bag for extreme charm! Xiomara Villanueva is Jane’s mom and, funnily enough, acts much more like a young adult than Jane does. Xiomara is a singer and flocks to the stage like a natural, so her clothes reflect that diva factor and her flair for dramatics. What I love most about Xiomara’s outfits is that they have an eclectic, bohemian vibe to them. To copy this fabulousness, stick with a brown color palette (a brown wedge and handbag) and gold accessories (an Alex & Ani “mom” bracelet and drop earrings), in addition to an olive-toned blouse and denim shorts. Hippie-chic, indeed! Do you watch Jane the Virgin? Who’s your favorite character? What do you think has the best style out of the three: Jane, Petra, or Xiomara? Previous Quiz: What TV/Movie Fashion Icon Should You Be for Halloween?